Wait, what's a growler? Glad you asked. 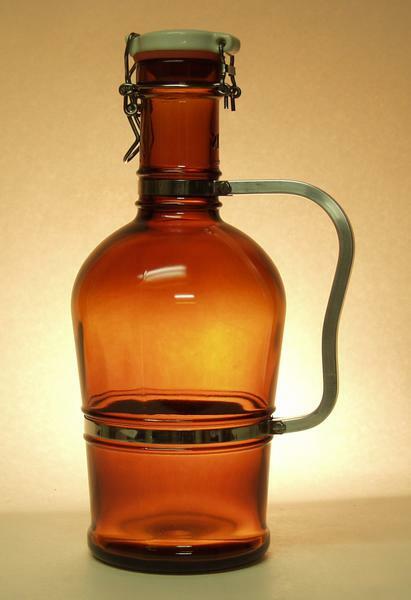 A growler is just a big glass jug for taking draft beer to go. It's debatable where the term comes from -- some say it's from back in the day when a growler was just a pail with a lid and the bucket would growl as carbonation escaped from the top. Hey, it's what I read somewhere. I picked up a 64oz growler last night at the Wine Seller in Williamsburg and filled it up with Firestone Walker's Union Jack IPA. I'm hoping next time I go they'll have some local brews on tap, but this one's pretty tasty. With all those reasons to buy a growler of beer, you might as well go ahead and get TWO growlers of brew!